!!!! !First Presentation of my life!!!! 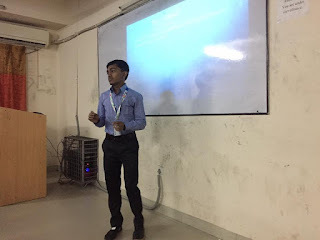 Thanks Dr. Touhid Bhuiyan Sir,Associate Professor and Head,Department of Software Engineering,Daffodil International University For capturing this photo! It was an excellent Experience.I was very nervous before delivering my presentation after all it was my first time experience.But now i am felling very happy and confidence!!! Thanks To Kabbo Hridoy and Rahat For helping me.